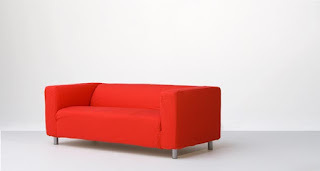 Covenant Relationships: Beware of the Sleeper Couch Mentality in Your Relationship! Beware of the Sleeper Couch Mentality in Your Relationship! Every relationship, be it courtship or a full on marriage becomes comfortable with routine as time goes on. There is absolutely nothing wrong with having a routine. As human beings, we are creatures of habit, and we have a proclivity to continually exhibit certain behavioral traits. So it is understandable that routines exist in relationships, but it is certainly not an excuse to convert to a sleeper couch mentality. I have come to discover that no relationship is 100% happy 100% of the time. There are people who find happiness in their marriages to be no more than a fleeting experience, while others seem to have a more grounded experience of what it is. What happens in most marriages that seem to be constant however is that people start to feel entitled to certain benefits, and they start to act it out. I understand that after signing on the dotted lines, you basically sign your life as it was before the contract away. You can't fly solo anymore, or make decisions on your own; you always have to involve the other person, because he or she is entitled to that benefit. But is this an excuse to take a laid back approach where your partner is concerned? I recently spent time with a married friend whose husband's birthday was coming up. I excitedly asked if she had pulled out all the stops to give him a birthday he won't forget, and her surprising response was "nope. He's the guy, I don't have to do all that". Oh?! Guys don't deserve birthday gifts or deserve to be spoiled? It's the same way many men stop appreciating their wives. After a while you hear things like "I know she's exhausted everyday but she's only fulfilling her duty as a wife." It is a feeling of entitlement that eats away at a lot of relationships without the victims being aware of what they are doing. It seems after a while putting some effort into a relationship seems to be an unnecessary move, hence many of us take a laid back approach which I call the sleeper couch mentality. I chose the sleeper couch because it is adjustable to either its upright couch position or a sleeper mattress of some sort. the choice depends on who's pulling the strings. Make an effort to sit up where your spouse is concerned. Notice the signs of under-appreciation and exhaustion. Take note of the signs of stress and unhappiness, and put some effort into making them feel better. Nobody deserves to continually give into a relationship without receiving any form of appreciative gesture for all their efforts. Nothing is no one's duty in a relationship. It's not a man's job to continually spoil and pamper his woman while she simply takes thousands of chill pills where he is concerned. The gestures may not match in size, but they can match in effort. It is not a woman's duty to continuously fuss over a man while she slowly loses herself because she is not afforded the same gesture. Sit up, and dump the sleeper couch! It is difficult to be able to always make an effort, but believe me, every little effort you make now such as buying him a gift for no reason, or helping her with the dishes after dinner will have a lasting positive impact on your spouse. Please join our BBM channel on C0027CE66 to interact with other subscribers! We promise we won't spam you!